Elizabeth Cooper moved to Cooperstown, NY in 2003 as a journalist for the Utica Observer Dispatch. She grew up in both New York City and Cooperstown along with her two younger sisters and her parents, Henry S.F. Cooper and Mary Langben. She is a member of the historic Cooper family that founded Cooperstown. She worked in various museums in New York City and Cooperstown as an educator and as a registrar. At the age of 32, she shifted to journalism working in New York City before coming to Utica. She stopped working in 2015 to raise her twin children and care for her late father. The paper she worked at, The Observer-Dispatch, has been in decline for some years as many newspapers across the country have been, but still produces a paper daily. With the increase of social media and digital news, newspapers have fallen out of fashion. This does not mean that journalists are not employed, but often there are fewer staff members working more hours. We talked a bit about the political climate in the early 2000s, which included the terrorist attacks on September 11, 2001 and the beginning of the Iraq War. She put these moments into the context of rural New York and the impact it had on the community. Additionally, Utica, NY contains a large refugee population, including people from Bosnia, Burma, and and Somalia. In 2003, the refugee center aided 28,000 people. Immigrants make up just under 20 percent of Utica’s population. This is contrasted by a poor and working-class, predominantly white and Republican-leaning community in the surrounding area of Utica. In Ms. Cooper’s work covering county politics, she met a wide range of people. In the interview, she expounds on her life including her childhood and schooling. Much of the interview reflects on her career path and how she got to where she is now. She also explains her relationship with Cooperstown as a place and how that has influenced her family over the years. Her examination of her life in relation to the town is some of the most interesting material. This interview took place in early November at her home while her children were at school. It had been almost two years since her father passed away. Some of the transcript has been edited for clarity. Researchers are encouraged to consult the audio recordings to hear the nuances of her storytelling. 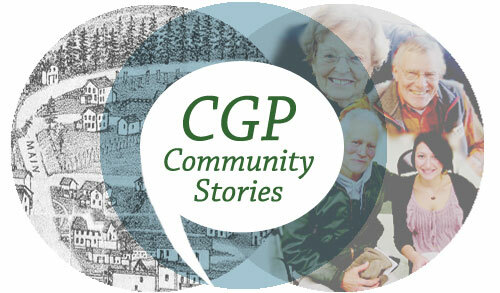 This is Chandra Boudreau interviewing Elizabeth Cooper on November 7, 2017 at 465 County Highway 52 Cooperstown, NY for the CGP Community Stories Project. So Ms. Cooper can you tell me about where you grew up? Yes. I grew up in New York City in Manhattan. On the Upper East Side, actually. And I guess with the Cooperstown side I’ve been coming here for summers all of my life, so that’s where I come from. Yes. And tell me a little bit about your family. Well my mother’s name is Mary Cooper. She was born Mary Langben and she also grew up in the city, in Manhattan. My father’s name is Henry Cooper. He also grew up in New York City and also spent summers coming to Cooperstown as a child. My mother had been in publishing. She went to Vassar and then was in publishing for a period of time before she got married and had children and then was a stay at home mother for many, many years. My father was a writer and reporter for The New Yorker magazine for 35 years and retired in his fifties and did other stuff around here actually. He was on a lot of boards and did stuff like that. So the question was tell you about my family? Okay, so I have two sisters. I’m the oldest of three girls. No brothers. Let’s see. We grew up. We went to the same all-girls school that my mother had gone to, Brearley and just had our life back and forth, doing that. All-girls school. Thirteen years. I’m just trying to think about what other things you might want to know about my childhood. I guess we came here as you know every summer. My grandparents also spent summers here so they had a great big house and two of my aunts, my father’s sisters, were also here. I grew up spending summers with lots of cousins and enjoying the lake and really having a great time with family. So I had two different parts of my life that were very distinct and created in many ways a very nice balance. I learned about the city and all the things about a big city that are amazing and vibrant and interesting. My parents were good city parents. They took us to museums and puppet shows and all the things you can do in the city. We were in Central Park all the time. I roller skated and stuff like that. Then coming to Cooperstown, you have the more rural experience of childhood where you can actually feel incredibly independent because your parents don’t have to follow you everywhere you go. They’re not worried about things and so you can go off and go and be in the middle of a creek for a while and your parents aren’t hovering over you. Anything else you want to know on that front? I don’t think so right now. Here’s a question and I know this is weird. Do you want to talk about the Cooper family or do you want to just let that go and have that be like separate or you know not part of this? I was going to have it later, but if you want to start talking about it now. Okay, no no. Let’s have it later. No let’s go. I mean we can go now. No, no. I don’t mind. I just was wondering if you were looking for that, but let’s wait and have it in the sequence of your questions as you prepared them. No, it makes sense to talk about them now where we’ve already started. So, you are from the historic Cooper family. How have you balanced that living in Cooperstown? Well, and I see why now. I think it’s a good question and I see why it makes sense to do later. So maybe we can come back to it, but I can start by saying I think that the obvious thing is that it’s a very, very lucky, wonderful happenstance to have a family connection to a great place like this. It’s beautiful. There’s a great community and it gave us all as an extended family a reason to keep coming here. I think in some ways that it has kept our family together over the generations. I mean I think many families have their own [reason]. Everybody has their own reasons for sticking together but the place, the physical place, has given us a touchstone to come back to. A physical location where somebody or other has always had a house, a place to come to and a place for holidays. In that sense, I think it has benefited our family as a family just in terms of the relationships down through the generations. Knowing we have portraits of what people looked like, and I think because of this one famous figure and his father, there was a self conscious like “Oh we’re going to keep these diaries. We’re going to keep these portraits.” There’s a sense of a reason to hang on to stuff and three generations later, there it is. It’s like you have a sense of what this person might have been thinking about, what their personalities were. I think that in a country like the United States where so many people come from far away and have to cut off their roots and maybe don’t know a lot about their families more than a couple of generations back. I just feel incredibly lucky having a sense of at least in this one strand of my family, a sense of where I come from, and so in that sense I think it’s a really good thing. I mean obviously there are always negatives with things that make people unique in the eyes of other people, just the different ways someone might perceive you. I don’t know. Let’s move on and we can come back to it at some later point. Okay. Alright, that sounds good. Where did you go to school? Okay, I went to this all-girls school called Brearley in New York City for thirteen years. It was one of those all-girls schools. We wore uniforms through eighth grade. It was a great school and I feel like I got a lot out of the education that I got there and probably worked as hard there as I worked in college. I mean it was really unbelievably rigorous and really had a high standard. I just think I benefited a lot from that environment and in terms of the intellectual curiosity that it taught and the standards that they had. So that was great. Then I went on to Yale after Brearley and that was also great. I feel incredibly lucky to have gone there. I always have to say this little caveat, which is that my father went there as his father before him. I feel like probably there’s a legacy connection that we had there. When I got there, of course, you find that there’re so many great people who came from all different kinds of backgrounds and so contrary to what some people might think of a place like Yale it’s actually incredibly diverse partly because they have a large endowment and they can offer all kinds of financial aid. So you do find that there are people of all different backgrounds and that was great. I mean I feel like I made a lot of great friends from all walks of life and many of whom I’ve kept in touch with over the years. It’s been great and interesting to see what they’ve done with their lives and stuff like that. So yeah, that’s where I went. Oh and then I guess I also went back and I had an erroneous attempt at a career as a teacher. It was not a good idea for me, but I did go and get a masters in education also at Teacher’s College in New York City Columbia. So that’s where I went to school. Those are my schools. And you just mentioned you were a teacher for a bit, but what else have you done? Where else have you traveled on your career path? and I had my little trash can out from under my desk and she screamed at me. [laughter] There was a period of time where in the middle of winter the news part, the newsroom area had no heat, but the graphic layout did and it turned out that the heating had been shut off because the heating had been paid, unwittingly, unbeknownst to anyone by “the Korean massage parlour” [gestured quotation marks] which was probably a little bit more than a massage parlour underneath that had been shut down, perhaps by the police. I don’t remember. Anyway, so there was no heat in the newsroom and we’re all there typing away in our gloves and our coats and god it was nuts. We were all so miserable and then one day we look up and there’s a rabbi in there. The woman who ran, the publisher, was a very religious Jewish woman, and so he was putting mezuzahs because she knew we were all miserable. So he’s putting mezuzahs all over every corner of this little newsroom to help us I don’t know what. They also hired a feng shui consultant to make everything. We all had to change our desk orientation so we were facing the door, so we could get the good energy. She’d bring in these yogi women to help us learn to breathe, but really what we needed was humane working conditions, to have her not yelling at us, to have her hire just one more person so that we weren’t working ungodly hours. Anyway so I did that for a year, but it was fun because I learned all about Queens. Queens is the most ethnically diverse county in all of the United States, so I mean I interviewed Afghan clerics and people from China, old school Italians, and every possible ethnic group you could find. [I] just also learned about reporting and government and stuff like that. So then ultimately, those working conditions were so unbelievably awful and the pay was so bad. No sane person would stay at that job for any longer than it required to have enough experience under their belt to move on. That is when I got the job in Utica, and so then I worked in Utica from 2003 all the way until 2015. That is the story of my career path. Is there anything else you want to know about that? Can you talk a little bit more about your working in Utica and changing from that high energy New York City vibe to a smaller community. Well here’s what I’ll say. Newsrooms everywhere are high energy because it doesn’t matter where you are, the news is happening all the time. I missed being in New York. I missed a lot. I mean my old friends for example. I used to go to a museum almost every weekend and I would read movie reviews and then go to the good movies, not the crappy blockbuster movies but something good with a brain. In the little bit of free time I had that one year, I continued to do that sort of stuff, but I mean I had many years of living in New York where I really was able to enjoy living in the city. I mean [it was] just an amazing place to be, but coming to Utica it was different. I mean I had lived in Cooperstown before, so I knew you cannot look for the things you’re going to see in New York City in Cooperstown. You can’t look for the great things about a place like Cooperstown in New York City either. You have to look at the positives of the place where you’re at. Here it’s the natural environment and going for a walk with a friend and my family. I have a lot of family around, so being able to see them. My father spent summers and a lot of the year also just right down the hill. I could see him. Again the outdoors and the friends I had had here forever, so that was good, but Utica to me was a big surprise. I was hired to be the county government reporter. I had no idea what that even meant. What do you even write about as a county reporter? What do counties do? I don’t even know. I think that it was a really good place. Had I been at an age where I was like, “I’m going to keep moving, I’m going to do Utica for a couple of years, and then keep going.” It really is a great place to learn about being a reporter because it’s big enough that there’s a lot going on, complicated, interesting things, but it’s a small enough place that you can really get your head around it. I think, ultimately, I learned that counties are responsible for everything from social services and public health to economic development. They’re also the place where state policy is enacted on the ground because a lot of funding for those kinds of programs comes from the state, so you can look at state policies and really talk to people about whether they’re working on a local level, which obviously is what those policies are supposed to be doing, so I think for me it offered a great opportunity. The other thing about being a reporter in New York City versus being a reporter in a place like Utica, let’s say a crime happens. In New York City, you have to call this thing called DCPI [Deputy Commissioner Public Information] and they’re not going to tell you anything. Basically, they’ll just stonewall you. You’re not allowed even to at the time call the precinct and have a person at the precinct say “Oh yeah, that guy was arrested. He’s been convicted or whatever.” You had to go through this whole rigmarole where someone down at 1 Police Plaza was going to call the precinct and then call you back, but the volume that they had there was so high that if you’re working for a small paper in Queens no one’s ever going to call you back. You’re never going to get your information, so it’s very frustrating. There are a thousand things like that, but in a place like Utica you call the police department and the officer who did the thing will get on and just tell you everything that you need to know. So simple stuff like that. I had the county executive’s cell phone. You have everybody’s cell phone number and they call you right back and you learn a lot about how things work in a place like that because the person who really knows is just going to take the ten minutes to tell you. Whereas in New York City, again, you have to jump through all these hoops and you’re never going to get the full picture. You ask a follow-up question and the spokesperson is going to take another day and a half to get back to you to answer your one little question. Whereas you can have a dialogue with the person if you’re in a place like Utica. The other thing was that it was a place where everything that was happening on a national level was playing out in some way, shape, or form on the ground in Utica. I can’t even think of a good example, but if something was happening. I can’t even think. There’d be something in Utica that was related that you could do a whole story about, so I wasn’t just writing about should we repair the pavement and the sidewalk over there. It was like, I don’t know. I covered elections. God, the 2008 presidential election. It wasn’t in Utica, but there was a congressional race going on that same year and how were all these much more global themes happening locally. What was making people decide to go Democratic where they might have been a Republican before? I remember one of the first things. So I grew up in very liberal Democratic family. I went to a school where it was like a nice Upper East Side school, but New York City is all Democrats and I remember when Ronald Reagan was elected. We had to be told not to be mean. There was one girl whose parents had voted for Reagan and the teacher had to tell all the other kids “Please don’t make her feel bad. Everybody’s politics are their own business. People have their reasons.” Really and truly I remember that [in] eighth grade, 1980. Just like who are all these people that voted for Ronald? I have no idea. It just made no sense to me given the weird liberal bubble that I had grown up in. If you live in New York that continues. So, coming up here I think that I learned a lot just about who are these people who back in 1980 voted for Ronald Reagan. Who are the people who are voting for George Bush? Who? What? Then the Iraq War had just happened. Oh, I was in New York on 9/11. I don’t know about that and that was crazy. George Bush came. He came to New York and he was wearing a plaid flannel shirt with his Texas twang. It was like he was talking to the rest of the country, not New York City residents. I think I felt, just remember having those feelings. Anyway, getting up here, it was like what. Why are we bombing Iraq? It was right around when the Iraq War started. I arrived in Utica that would have been February of ‘03 and pretty rapidly after that the US started bombing Iraq. At the time I was like “What sane person thinks this is a good idea.” I didn’t think Colin Powell’s layout of what had happened, I didn’t buy it. I would’ve said that we should’ve done what had to be done in Afghanistan and then made it a model of what the US can do to help a country get back on its feet, but instead we ended up bombing Iraq. One of my assignments was to go and interview people at a Support the Troops rally and at the time I was like “What is this. I don’t even know who these people would be.” But as a reporter, that is a great thing about that job, is that you don’t know something you’re going to go and find out and hopefully you have the integrity to find out in a real way. I remember going and I had the realization, which you can think that I was naïve or stupid even and I wouldn’t say you were wrong, but that I got there and I realized these are the families of the troops. I had had no idea. I really was very naïve about that. I remember interviewing people and they were terrified. There was a period of time I think with that war when the soldiers went in there was a two-week communications blackout for the families. People were breaking down and sobbing when I was talking to them. I think that was a very meaningful wake-up call for me, just learning about people I hadn’t known about before in America. I did a lot of that. To me, I think the great thing about that job was as much a learning experience for me about where I live and just the rest of the world. That as a reporter, luckily for me, no one in my family’s on Medicaid, so it’s like okay. I wrote a lot about Medicaid because Medicaid is something that puts a lot of financial stress on counties actually in New York State and it’s one of the reasons that property taxes are quite high here. I’ve always been a believer in social services programs like Medicaid. I think it’s very important that we support people who need health benefits or different kinds of benefits. Just going and interviewing people about why are you on Medicaid? What set of circumstances led you here? Even though I think theoretically I had known, oh yes, people end up in these situations and they need the help. What are the situations? You just hear all kinds of stories about what those reasons are and they’re as different as every one of the people telling the stories. That was a great, interesting thing. I didn’t cover much crime, though there was crime. I did cover a little bit of crime. I did not cover the refugee center [Mohawk Valley Resource Center for Refugees] so much. That was more the city reporter, but I did a little bit because I covered economic development type stuff and sort of the way refugees have helped revitalize different neighborhoods in Utica. I think it’s one of those things that people don’t expect from a city in upstate New York that there’s going to be a large Bosnian population, a large Burmese population. I remember once I was working on a weekend and the exiled president of Burma was in Utica. I guess Aung San Suu Kyi, however you pronounce her name, she was under house arrest still in Burma at the time, but members of her government had dispersed and were in other places. So this guy had come to the United States and Utica was one of the places where there was the largest number of Burmese around. There were I think at the time about 3,000 Burmese people in Utica. Many of them were Baptists, so there was this Baptist Church and there were so many Burmese Baptists that this church had decided that it would be the place where they could have this exiled president come and speak. I happened to be the reporter on that weekend. I remember walking in the door of the place among all these people from Burma and stepping on some piece of fabric on the floor and was like “Oh oops, I’ve stepped on some person’s jacket or something,” but it was actually the flag of the military junta of Burma that was on the floor for everyone to step on, so we were supposed to step on this flag to show deep disrespect for the junta. It was just one of those, unbelievable this is happening in Utica in the middle of central New York [things]. This small act of rebellion of this flag on the floor. I think that was fascinating. I wanted to also make the connection between museums and reporting because I think that when I made that transition many people including myself were like “What? This is completely unrelated. Lizzie’s jumping from thing to thing,” but really both museums and journalism are about the study of people. What have they done? Why have they done it? How did they do it? What was life like in all these ways? In museums, you have objects and you have documents of different kinds that help you put pieces together and that with journalism it’s a lot the same and the only difference is is that it’s happening now, and if you're like, “Why would they have done this?” You can actually call up the person and be like “Why did you do this?” and that person will tell you. I mean I think it’s that same. The kick that I used to get at a museum of “What is this thing. Why is it here? Oh my goodness. It belonged to this person and then that person,” or just making one of those I don’t even remember what all those connections are and that journalism is the same. I felt like the thing that I enjoyed about journalism was that same thing of like I get it. Now I see why these people are doing this, why they think this or what have you, just trying to think what other interesting things. The air force base. There was an air force base that had been shut. I mean the economic crises of central New York and how this is in so many ways a rust belt area and why and where did all those factories go. What are the larger forces at work that have meant that all these jobs have disappeared? What can be done to fix this problem? Just all the struggles of trying to make this place economically viable so people can come back here if they want to raise their families here and have a job that will pay the bills. I guess those looming questions that still exist. I don’t know if you want to hear any more. Do you have any other questions about that? Well, I have stopped briefly. I’m not married and there came a moment where I was like god you know I was 38, 39, 40. By the time I got to be 40 I was like “I have not met the guy” and I’ll tell you that I just think really on some level I knew I’d probably never get married. I was never looking in the same way that friends of mine were looking for that person to settle down with. I think that I just got to a point where I was like I’d certainly had various assortment of boyfriends, an assortment of guys and that I think none of them was really going to be the right person, but again I wasn’t really working very hard to find the right person either. I knew I could swing it financially. That’s one element of this. Because of my family, I have a level of financial security. So, I knew that I didn’t need to get married to have kids and so I ended up going to the clinic in Albany and having my kids. I continued working because I really had felt like after I had the kids that I really loved being a reporter and I didn’t want to be a stay-at-home parent, and so I continued to work at the paper. I mean stayed at the paper because it’s like I could’ve moved to New York or I could’ve been searching for another job anywhere, in a larger newspaper, but what I felt was that I did not want to go to another paper, take on a bigger job, and then start going through fertility treatments, and then get pregnant and have kids in this new place. If I did it in Utica, they knew me. They liked me. I had family and support here in Cooperstown. I didn’t want to go off to, because with the news business, similar to museums, it’s like there’s only one paper in every community. If you’re working your way up, except in the bigger places like New York City, you’re going to go from Utica to like Lexington, Kentucky, to Detroit, to Chicago and then to New York. That’s going to take fifteen years. I didn’t want to go to one of these places and then start a family, and I was older. Remember that I’d started my whole career as a journalist later anyway. So I ended up staying here and it was okay. It was doable. I had a nanny who took care of the kids when I was at work. I ended up working four days a week because they were able to be flexible with me. Two things happened. One is the news business, as you know, is in a contraction and when I’d started at the paper there were fifteen news reporters and when I left the paper in 2015 there were seven. Now there are five. They still expect a paper to be put out, but where when I started at that job I could take two days to write an interesting, analytical story about something and by the time I left I was writing ten stories. I was writing two stories a day and it was just brutal. You just didn’t feel like you could do a good job at anything because you’re doing ten things all at once all the time. So the job that I had had was not the same as it had been when I entered it. Then the other thing was that my father had been diagnosed in 2012 with what would ultimately be terminal lung cancer. So I tried for I guess that was 2012. I tried for three years to keep my job, take care of the kids, and be a support for my father who was living just down the hill a lot of the year. He also had a place in New York City, but he was here more and more because he was doing some of his treatments at Bassett and because my sisters were not around. My parents got divorced in 2001, so it wasn’t like he had a wife who was going to accompany him and be by his side. He was a very social person and he wanted company. I was balancing having my kids, so single parent of twin toddlers and I had a terminally ill father who was also physically handicapped separately because he had such bad arthritis. He had trouble walking. It was a crazy three years, like we’d go places and I’d have the kids running around and my father with his hand on my shoulder because he couldn’t walk without that. My heart [was] in my mouth because the kids were going to run into the street, but I didn’t want my father to fall. I mean stuff like that. All, all of my free time was that because my father was a wonderful, good person and I felt that I wanted to be with him and I felt that having him around the children was going to be good, would make him happy, would give him something to do, have him be part of something. I got to a point where it was like I cannot. I did that for three years and I was going to collapse. It was crazy. So I left my job in November of 2015 and actually right around that same time my father. I’d thought okay he’s going to be alive for another couple of years and the kids will be in kindergarten and I’ll be able to see him during the day and help him out and then have them in the afternoons. I won’t have to combine them all the time. I’ll just be able to do what needs to be done for both of these sets of people. He got diagnosed with something like it was a metastasizing of the cancer in a particular way that was only going to give him two months, six weeks, two months. Sure enough he had died by January of 2016. January 31st of 2016. It was like I felt like I’d been through the ringer and so the kids were still in pre-K. So I was just like I can’t even think about what the next steps are going to be. So that was about two years by now. I’m not reporting anymore. I would like to get back to it. I do a little bit of freelancing, but it’s not the same kind of political, analytical, government stuff. Government news can be breaking news and so I can’t really cover what I used to cover. So I’ve done stuff like what do you in Cooperstown in October, like that kind of thing. Just to keep my hand in a little bit, but I’ll have to figure out what the next step is. My daughter’s having some issues because she’s got a little bit of a mood dysregulation thing, so that’s taken up a fair amount of my time trying to figure out what to do about that, how to help her. Anything further? What do you think? We’re looking at right about an hour right now. If it’s okay, I’m going to ask one more question. So having spent summers in Cooperstown, and then living here a little more permanently now, and now that you’ve got kids kind of in Cooperstown, and based on all the work your father’s done, and your family name what is your relationship with the town or with the community? I think that maybe the best thing I can say about it is that I think my relationship with the town and the community now is normal and healthy and it’s that I’m a person who lives here, and sends my kids to the school and is getting to know other parents and I have some old friends here. In the best way possible, I think that I’m just a regular person here and that’s a great thing. I do feel like in a weird way that has been a long time coming because I think that a bunch of things. I think times have changed a lot and I think my family has changed a lot. So my grandparents lived very, very well. They had a summer home and a city home and they had a full staff . They had, I want to say, two live-in maids and a live-in cook who provided their every meal. That was their life. That was what they expected. That’s how they’d been raised themselves and my father grew up in this. Being a summer person in Cooperstown, you don’t really get to know a lot of people and there’s always been a lot of great, interesting people who lived here but you come in from out of town and all you see are people who are like I don’t know. They see you in this context of like you’re this person and it distorts. I think that that can distort how other people perceive you. They could think that you’re really great or be really interested in getting to know you or they can think that you’re probably a horrible snob or that you’re going to really want you to flatter you about your family background and you’re going to like that or that you’re smarter than everybody else or in some way smarter and better or that you think you’re smarter and better and when you’re not here enough to have people really to develop real relationships it’s just weird. Maybe I’m like a will-o-the-wisp, but I’m not that person who’s like “Ha this is me. I’m this person, so whatever you think I am I’m this person and just take or leave it.” I’m just not that way, so I’m always like “Uh-oh. Okay, what’s this person thinking? Is this person going to like me or not? Are they coming to me with this preconceived notion or that preconceived notion?” I think that when I was a summer person there was a little bit of that and now maybe I’m overstating it because you’re asking this specific question, but these are things that you feel and then there are those identity forming years as a young adult too where I think that can continue to be at play even if you’re out there and you have a job and stuff like that. That it’s just everybody’s in this cauldron of like who am I and where am I in relation to where I want to be and where you are and all this stuff. There was certainly a lot of weird, but it’s like anything everybody’s got something about them, so it’s like I was always like “Oh my god.” I remember I double parked in front of Danny’s. This would have been in the 90s to get my cup of coffee. I was on my way to work at the library over there and I double parked, ran in, got my coffee, came out and then some person at some point was like “You think you can do whatever you want. You can double park in front of Danny’s because you’re you and you come from this family.” It’s like “Come on. Everybody double parks in front.” In those days, really it was a thing. I wasn’t just like “Oh, I can do anything. I can double park.” It’s like “I’m on my way to work. I just need to get a coffee. I’m going.” I don’t know. So weird things like that would happen. Certainly at different times and in different places there have been people who are really excited to meet me. Gee. I think that my father also he was really a very nice, down-to-earth guy, but he came from where he came from and he talked like William F. Buckley. He came by it honestly. All of my older relatives had a very plummy upper crust accent, but that’s really how they talked. They weren’t imitating anybody, that was just them, but I think that being associated with my father that probably perpetuated this sort of “Oh you’re that person. You’re that.” I think having kids in the school here has really for me been great. I’m just another parent in this community with my kids and that’s really what I have always just wanted. I mean I grew up in New York City. I did go to a nice, fancy school, but because I went to a nice, fancy school in New York City I went to school with people who are a whole helluva a lot more important than I ever could hope to be, like Rupert Murdoch’s daughter went to my school. That’s not even the biggest deal. It was like a fancy school. I was just a regular person there and so it was always a little weird coming here. I think to what I was saying earlier about family and having this be a place that kept our family together. Really and truly I loved my grandparents. They were great. Everybody loves their grandparents. They were great, warm people who you could go into their house and there was always a cookie for you. My aunts and uncles were fun and funny and loved children. It was a great environment to be a kid and we did a lot here. We’d go for walks and be around outdoors and go swimming in the lake and go canoeing and all that stuff. I think that foundation really was something that made me love Cooperstown was sort of that happy childhood, those associations. Also I’m not necessarily a person who’s going to be in New York and be all cutting edge. I think that I am more of a little bit of a hayseed anyway. I kind of like it. I think that a lot of the time I have felt like I was maybe perhaps a little happier in Cooperstown anyway, just as a person, just the life was sort of more my kind of life. That relationship, I don’t know, I guess what would I say. Do I feel I have some kind of role to play? I don’t know. I guess I would say if I did I don’t know what the role is. I’m not going to say I have a role and try to get a role. I just feel like if I find something interesting that I want to do or something that I want to be committed to, I’m not going to be doing it as a Cooper, I’m going to be doing it as a person who is affected by this or who wants to do whatever. The one thing I will say about this is that I think my father he found with Otsego 2000 that sometimes you can haul in that, the name, and be like “Well, I’m this” and that it can be handy as a tool. That’s always something that I think that he was a little bit uncomfortable with, but sometimes it worked, and I probably feel the same way. Alright if I can help move things along by walking in pretending that this matters, maybe that’ll work and maybe we can get it done, but I don’t know. I don’t think so. I don’t know. Wait. Let me try to think. I don’t think there is anything. I hope I haven’t said anything too insane. Okay. 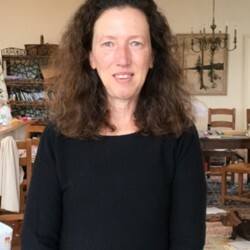 Chandra Boudreau, “Elizabeth Cooper, November 7, 2017,” CGP Community Stories, accessed April 25, 2019, http://cgpcommunitystories.org/items/show/333.